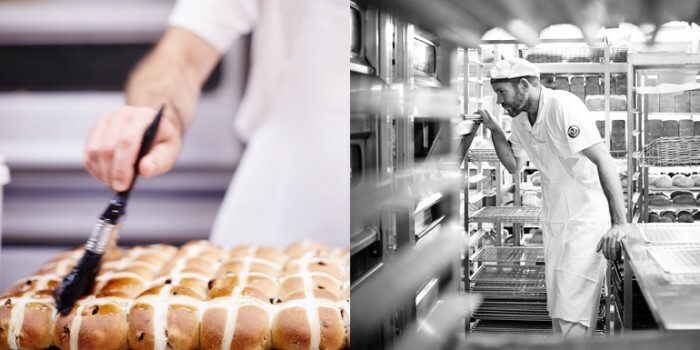 A chance to win $20 worth of Bakers Delight vouchers; and a behind the scenes look at how Bakers Delight make their hot cross buns. 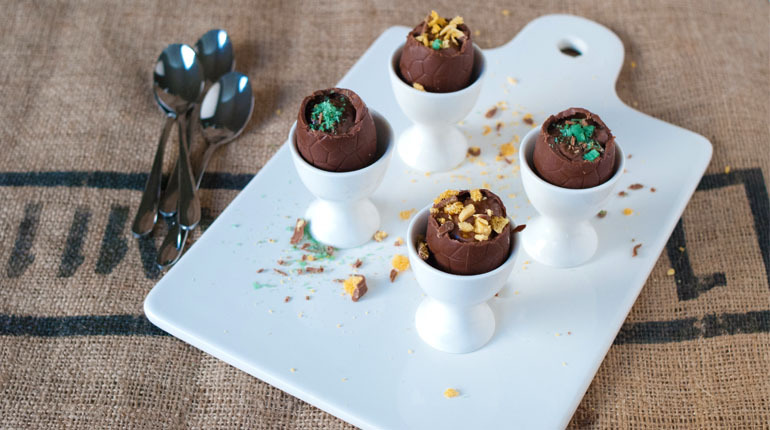 Also, one totes amazeballs recipe to use up any leftover hot cross buns! 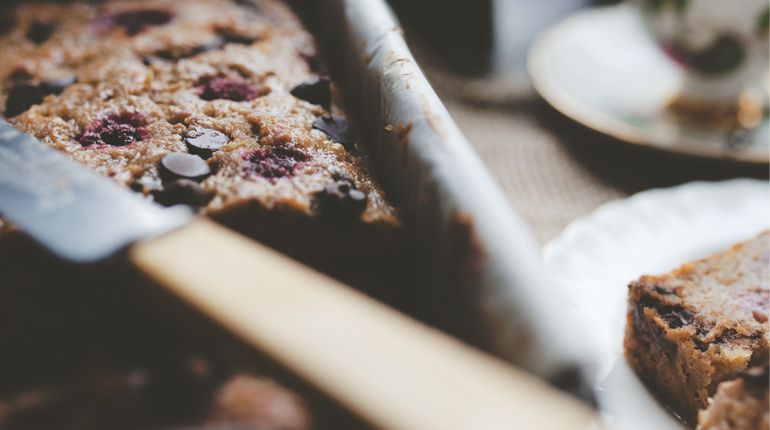 Chocolate, raspberries, banana, it’s a match made in heaven. Whether it’s what you want for breakfast, or later on with a cuppa and some gossip, it will take you to a #happyplace. Cinnamon rolls. 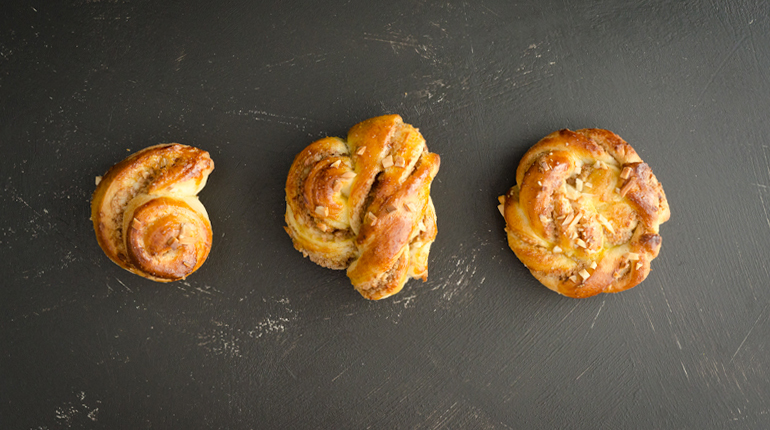 Kanelbullar. Kanelbulle. After seeing many #kanelbulle-grams from Ewen, when he was swanning around in Scandinavia; I knew I HAD to make them..and well, quite frankly; it was easier, and cheaper than jumping on the next flight over to stuff my face with all the kanelbulle I could find. 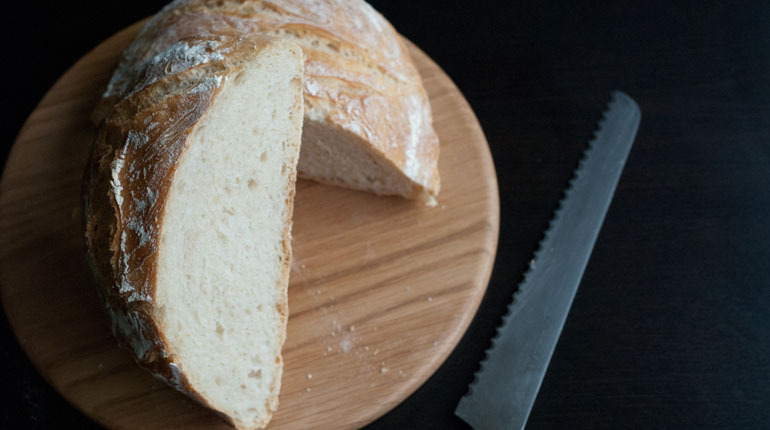 Ruth from Gourmet Girlfriend has started a no knead bread revolution. I gave it a go, and you should too! Home made hot cross buns and Easter egg mousse cups. As well as some Easter treaties you can purchase from around town. This gingerbread has a dark, slightly bitter but comforting quality to it. The stout not only adds the deep colour, but the bubbles in it help provide a super light batter. These pretzels are definitely not making me thirsty! They are so light and fluffy, and very, very addictive. Easy as pie in the Thermomix. Some damn fine bread coming out of the Brasserie Bread HQ in South Melbourne. My first attempt at homemade brioche, made with French butter and a chocolate swirl. Take the humble ham and cheese toastie to new, unchartered levels!